DIRECTIONS: From I-95: Exit 7A in Massachusetts (Rt. 140 S.) then right onto Forbes Blvd. From I-495: Exit 1 (Rt. 140 N.) for 2 miles then left onto Forbes Blvd. From Rt.106: North onto Rt.140 then left onto Forbes Blvd. Once on Forbes Blvd. : Continue straight (road changes to Cabot Blvd.). The Mansfield Holiday Inn is at the end. For additional directions, go to www.mapquest.com. The show has raised thousands of dollars for local charities as we've had at least one charity event/signing here each year since 1997. $795.00 was donated to charity thanks to Luis Tiant's appearance here in June 2016 & $430 was donated to charity thanks to his appearance in October last year. 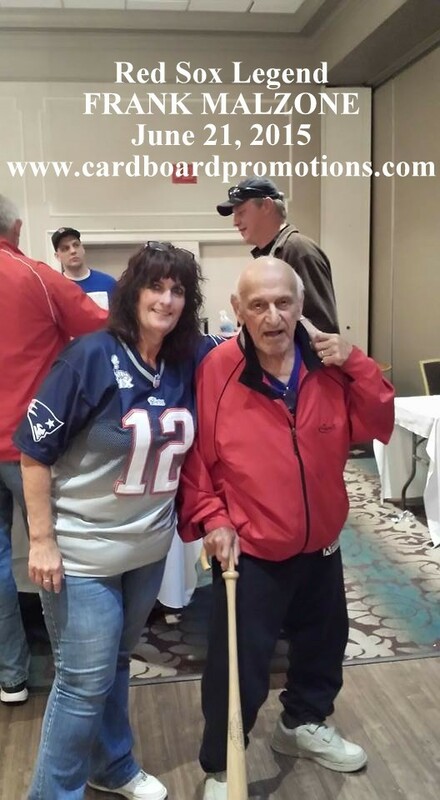 $600.00 was donated by former Patriot Sammy Morris to Attleboro High School football in conjunction with his appearance at the March show here last year. $575.00 was donated to the Mansfield Relay for Life thanks to Rico Petrocelli's appearance here in July 2017. $302.00 was donated to the Massachusetts Speech Apraxia Walk thanks to Frank Malzone's appearance here in the summer of 2016 before sadly passing away a few months later. It was one of 3 charity appearances here by Mr. Malzone. Also, special thank to Bernie Carbo for multiple charity appearances here. Like a lot of people I started collecting sports memorabilia/cards as a kid going on to sell some just to buy more. I've run card shows at several different locations in the past, but the Holiday Inn in Mansfield certainly has proved to be the best. I started this card show when I was 18 years old on Presidents Day in 1991. It was certainly a different hobby, a different world and a different me. There was no internet for starters. Larry Bird was still playing for the Celtics. And the Patriots had just finished up their worst season ever with a record of 1-15. 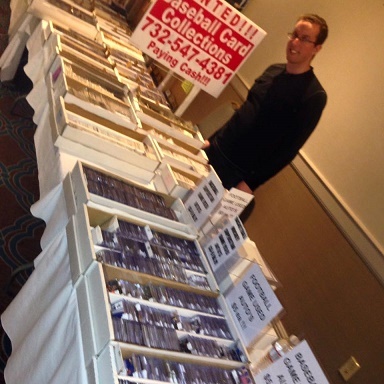 The card show started out small both in size (about 38 vendor tables) & frequency (about 7 a year) gradually increasing in size over the years with 17 shows a year of at least 75 vendor tables. In 1999, I established the show's web page. In 2003, we started having autograph guests on a regular basis, and now have nearly 70 autograph guests each year. 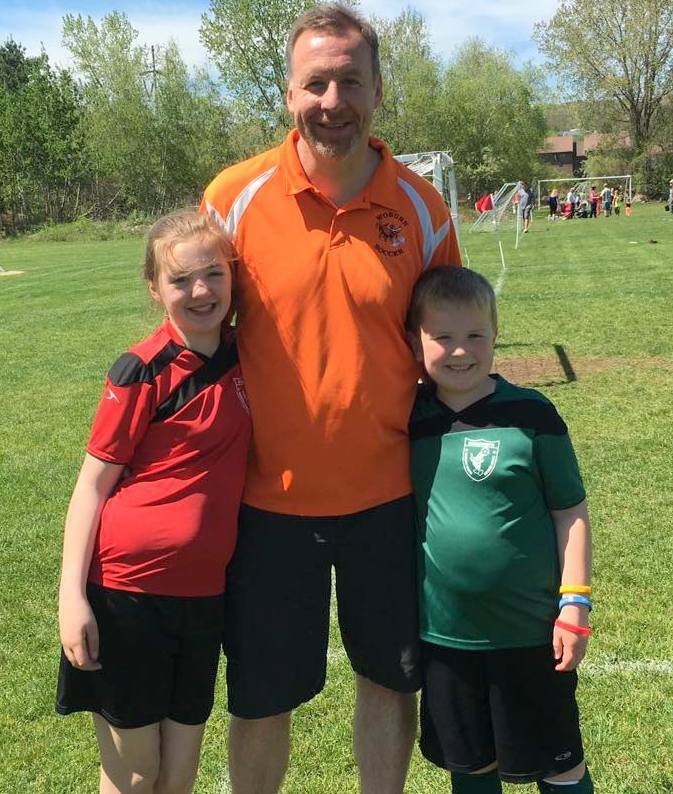 Married now with 2 young kids, I do life insurance during the day & play & coach soccer. I’ve met a lot of nice collectors as well as a lot of nice autograph guests over the years, made some good friends and, while it’s never been a full-time job for me, it’s been awesome having a job I really enjoy. Special thanks to Jack Melchert (the autograph ticket guy), Ernie Rotman at the admissions table and Chris & Bev Walz for their expertise in handling the autograph guests.